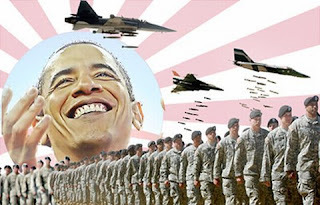 America Revealed: America's Next War Theater: Syria and Lebanon? Washington and its allies, Israel and the Al-Sauds, are taking advantage of the upheavals in the Arab World. They are now working to dismantle the Resistance Bloc and weaken any drive for democracy in the Arab World. The geo-political chessboard is now being prepared for a broader confrontation that will target Tehran and include Syria, Lebanon, Iraq, and the Palestinians. In Lebanon, there is a deadlock in regards to the formation of a Lebanese government. Michel Sleiman, who holds the presidency and the new Lebanese prime minister have been delaying the formation of the cabinet in a political row with Michel Aoun, the leader of the Free Patriotic Movement. It may be possible that the formation of a new Lebanese cabinet is being delayed deliberately to keep Lebanon neutralized on the foreign policy front. The U.N. Security Council and several U.N. bodies are all being used by the U.S. and the E.U. to put pressure on Lebanon. U.N. Secretary General Ban Ki-moon is taking his orders from Washington. He has contributed to providing legitimacy to the U.S. and NATO wars. Moscow has openly accused Ban Ki-moon of treachery for his 2008 secret dealings with NATO. It is in this context that the U.N. is being used as a forum for insidious attempts to internationalize the issue of the weapons held by the Lebanese Resistance, with a view to disarming it. Despite the fact that U.N. Resolution 1559 is no longer relevant, the Special Representative for the Implementation of Resolution 1559, Terje Roed-Larsen, still remains active and issues reports against Hezbollah. The envoys of the U.N. to Lebanon resemble colonial figures making uninvited edicts in Beirut and working as agents of Washington, Brussels, and Tel Aviv. The Special Tribunal for Lebanon (STL), which has an entire division in the U.S. State Department, is also a loaded political weapon that Washington is planning on using against Lebanon and Syria. An international tribunal was formed pertaining to the circumstances of the the assassination of Rafic Al-Hariri. Hariri at the time of his murder had no official state position, but an international tribunal has been created for his case alone. On the other hand the so-called international community has taken no interest in forming any type of tribunals to investigate the assassination of thousands of people killed in Lebanon. What does this say about the STL and the justice being sought? The United Nations Interim Force in Lebanon (UNIFIL) has also been complicit in Israeli violations against Lebanon. Even the United Nations Relief and Works Agency for Palestinian Refugees in the Near East (UNRAW) has been infiltrated with officials that are supportive of Israeli crimes against Palestinians and Lebanese. This was demonstrated by Christopher Gunness, the spokesperson of UNRAW, in a May 15, 2011 interview with the Israeli military. While Israel’s IDF was firing on unarmed civilian protesters during Nakba Day 2011, Gunness reaffirmed that UNRAW was working in the interest of Israel’s national security, while also accusing the Palestinians of committing terrorist acts against Israel. Even the Israeli siege of the Gaza Strip was whitewashed by the UNRAW spokesperson. The absence of a new cabinet in Lebanon has also allowed Saad Hariri and the March 14 Alliance to continue having an ominous hand in managing Lebanon’s affairs. This also buys time for the STL, which can move forward without being challenged by a Lebanese government in Beirut that would be hostile to the STL. In this regard, a new government in Beirut would most certainly question to legitmacy of the STL. Moreover, the Internal Security Forces (ISF) of Lebanon is also being used by Saad Hariri against Hezbollah and the political opponents of the Hariri family. The ISF may even have a hand in working against Damascus and helping promote violence in Syria. The ISF takes its orders directly from the Hariri family. Because of the free hand given to Saad Hariri and his cronies (largely due to the absence of a functioning cabinet in Beirut), Ziad Baroud, the acting interior minister of Lebanon, has refused to sign any more papers from his ministry. Baroud has taken this position, because he believes that the ISF is acting covertly and without his approval or supervision. In this regard, the ISF has refused to follow the orders of Ziad Baroud to allow Charbel Al-Nahhas, the acting telecommunications minister of Lebanon, to enter ISF headquarters for a routine check. The ISF was clearly trying to hide its operations and was acting to prevent Al-Nahhas and his team from going to certain floors at ISF headquarters. It is also no secret that Lebanon is a nest of intelligence agents and operatives from the U.S., the E.U., Israel, Jordan, and Saudi Arabia. Their objective is to confront and dismantle Hezbollah and its coalition. In 2006, during the Israeli bombardment of Lebanon the embassies of E.U. members were also collecting data against Hezbollah. The Al-Sauds have helped facilitate the links between Israel and the network of spies in Lebanon. This is demonstrated by the clear link between Sheikh Mohammed Ali Hussein, the Shiite cleric caught working for Israel, and the Al-Sauds. In tune with all this, Hezbollah is constantly accused of being an instrument of Iran. Recently, Hezbollah was blamed alongside Iran for stirring protests in the Persian Gulf, specifically in Bahrain and the Shiite-dominated areas of Saudi Arabia. In this regard Lebanese citizens, regardless of their faith in many cases, have also been singled out by the Khaliji regimes and expelled from the Persian Gulf. This is part of a sectarian card to create regional divisions and hate. Within Lebanon it has been used by the Saad Hariri faction to target Hezbollah and its allies. Hariri has ironically accused Iran of interfering in Bahrain at the very moment the Saudi military invaded the island-state to keep the Al-Khalifas in power. The petro-sheikhdoms of the Persian Gulf are now systematically preventing Lebanese, Syrian, Iraqi, Iranian, and Pakistani citizens from entering their borders. Kuwait has justified this by saying that there could be trouble within Kuwait due to political instability in these countries. Damascus has been under pressure to capitulate to the edicts of Washington and the European Union. This has been part of a longstanding project. Regime change or voluntary subordination by the Syrian regime are the goals. This includes subordinating Syrian foreign policy and de-linking Syrian from its strategic alliance with Iran and its membership within the Resistance Bloc. Syria is run by an authoritarian oligarchy which has used brute force in dealing with its citizens. The riots in Syria, however, are complex. They cannot be viewed as a straighforward quest for liberty and democracy. There has been an attempt by the U.S. and the E.U. to use the riots in Syria to pressure and intimidate the Syrian leadership. Saudi Arabia, Israel, Jordan, and the March 14 Alliance have all played a role in supporting an armed insurrection. The Al-Sauds have also helped drown out any authentic calls for democratic reform and marginalized the democratic elements in the Syrian opposition during the protests and riots. In this regard the Al-Sauds have supported both sectarian factions as well as terrorist elements, which question the foundations of religious tolerance in Syria. These elements are mostly Salafist extremists, like Fatah Al-Islam and the new extremist political movements being organized in Egypt. They have also been rallying against the Alawites, the Druze, and Syrian Christians. The violence in Syria has been supported from the outside with a view of taking advantage of the internal tensions and the anger in Syria. Aside from the violent reaction of the Syrian Army, media lies have been used and bogus footage has been aired. Money and weapons have also been funnelled to elements of the Syrian opposition by the U.S., the E.U., the March 14 Alliance, Jordan, and the Khalijis. Funding has also been provided to ominous and unpopular foreign-based Syrian opposition figures, while weapons caches were smuggled from Jordan and Lebanon into Syria. The events in Syria are also tied to Iran, the longstanding strategic ally of Damascus. It is not by chance that Senator Lieberman was demanding publicly that the Obama Administration and NATO attack Syria and Iran like Libya. It is also not coincidental that Iran was included in the sanctions against Syria. The hands of the Syrian military and government have now been tied internally as a new and broader offensive is being prepared that will target both Syria and Iran. Syria and the Levantine Gas Fields in the Eastern MediterraneanSyria is the central piece of two important energy corridors. The first links Turkey and the Caspian to Israel and the Red Sea and the second links Iraq to the Mediterranean. The surrender of Syria would mean that Washington and its allies would control these energy routes. It would also mean that the large natural gas fields off the Lebanese and Syrian coastline in the Eastern Mediterranean would be out of reach for China and would instead go to the E.U., Israel, and the U.S. The Eastern Mediterranean gas fields have been the subject of negotiations between the E.U., Turkey, Iran, Syria, and Lebanon. Aside from the Baku-Tbilisi-Ceyhan (BTC) Pipeline, the existence of the Levantine natural gas fields is also the reason why the Kremlin has created a military foothold in Syria for the Russian Federation. This has been done by upgrading Soviet-era naval facilities in Syria. Moreover, it has been Iran that has agreed to explore and help develop these natural gas fields off the Levantine coast for Beirut and Damascus. There is a strong correlation between war in Southwest Asia and increased talk at the official level about Palestinian statehood. Hopes of Palestinian statehood have been used twice to discharge pressure in the Arab World built from rising tensions from war preparations against Iraq. The first time was by George H.W. Bush Sr. and the second time by George W. Bush Jr., who was praised for being the first U.S. president to seriously talk about a Palestinian state. Even as he flip-flops on his position, Obama is also now talking about a Palestinian state. Moreover, rapprochement between Hamas and Fatah has taken place as the count-down towards international recognition of Palestinian statehood begins. The Israelis have also released frozen funds to the Palestinians, which they refused to do before due to Hamas. The rapprochement between Fatah and Hamas has also served to tie the hands of Hamas. Hamas will have to be careful not to effectively become a junior partner in governing Palestine under Israeli occupation. Hamas must effectively now modify its stance in its partnership in a unity government with Fatah. In all likelihood Tel Aviv and Washington will seek to impose Fatah as the senior partner of the Palestinian Authority. In a manner of speaking, Hamas is being domesticated indirectly by Israel and Washington. At the same time the U.S. government is starting a media campaign against Pakistan. Islamabad has been portrayed as harbouring Osama bin Laden and his Al-Qaeda network. In reality any Pakistani involvement with terrorists has been ordered and directed by Washington. There is a much more complicated story to all this, but what is happening in reality is that Pakistan as a nation is being targeted for dismantlement. 1. Promoting a scenario of a war with Iran: Pakistan would not be under threat of a takeover by revolutionaries that would side with Iran and its allies. 3. Regional destabilization in a key area of Eurasia where Southwest Asia, Central Asia and the Indian sub-continent meet. This area extends from Iran and Afghanistan to Pakistan, India, and Western China. At the same time Washington also wants to neutralize the Pakistani nuclear program. The U.S. has also announced that it has the right to violate the national boundaries of countries which harbour terrorists as well as send troops to these countries as part of the “war on terrorism.” Hillary Clinton has justified Washington’s stance by saying that U.S. forces would be assassinating terrorists. This is merely an opening door for creating a pretext for military intervention in countries such as Iran, where the Revolutionary Guards have been designated as a terrorist organization by the U.S., or Syria, where several exiled Palestinian groups have been designated as terrorist organizations by Washington.